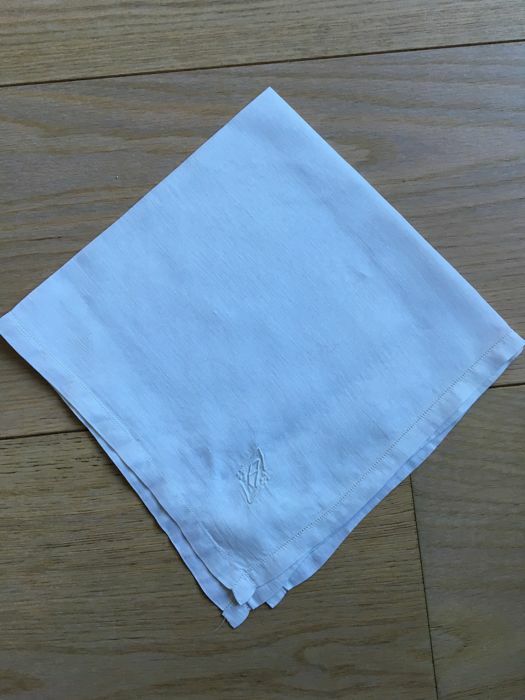 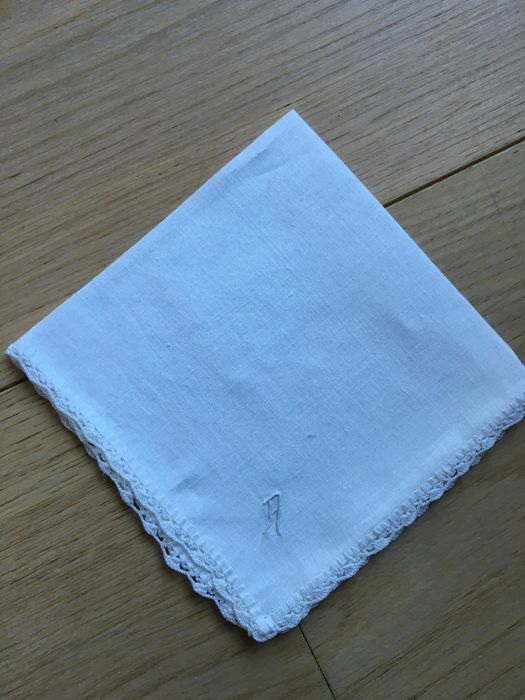 1 white square handkerchief - Very nice quality: 100% cotton thread - In very good condition - Monogrammed A - Rare - France - Size: 40 cm x 40 cm. 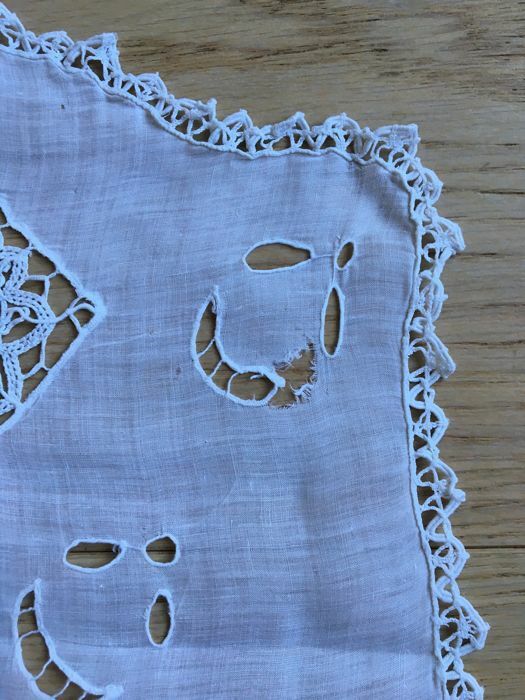 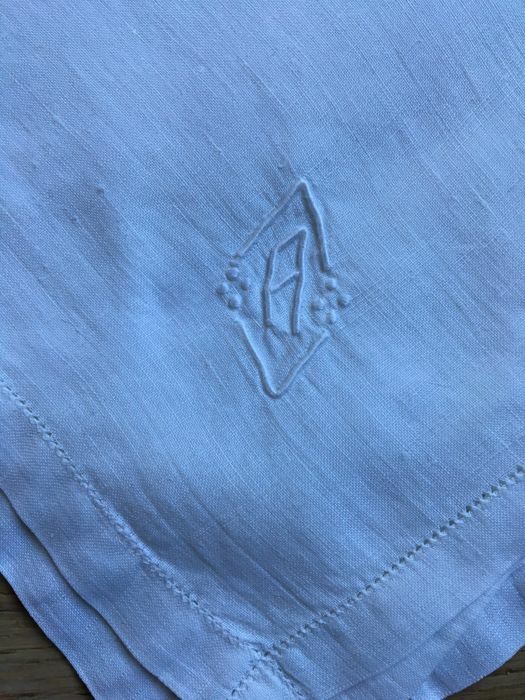 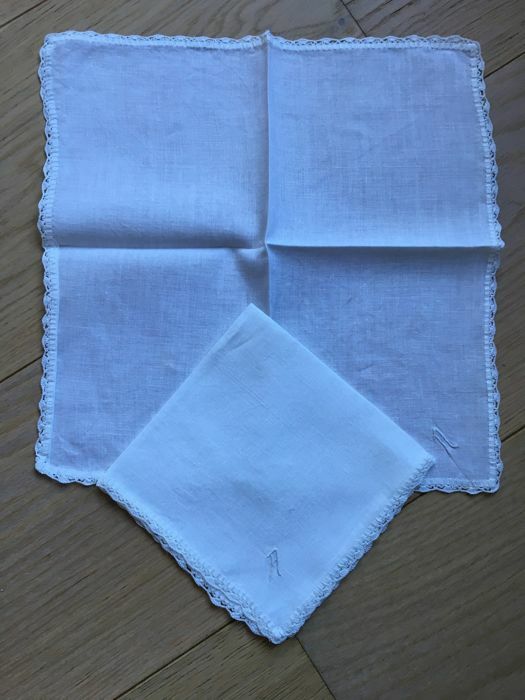 2 old square white handkerchiefs - Very nice quality: 100% cotton thread - In very good condition - Monogrammed A - Rare - France - Size: 28 cm x 28 cm. 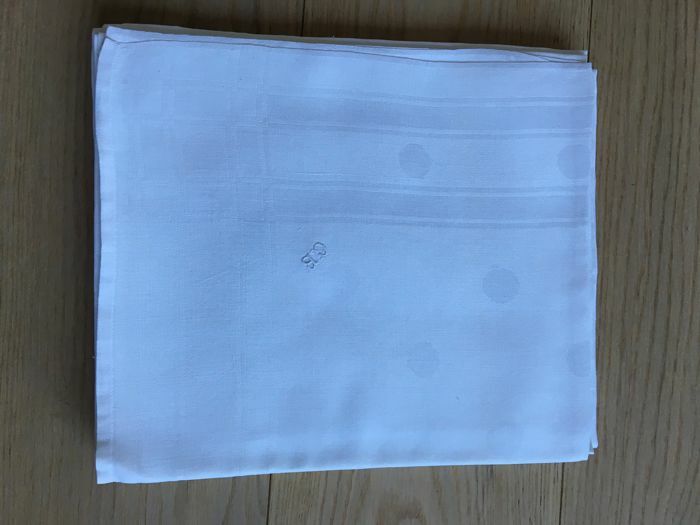 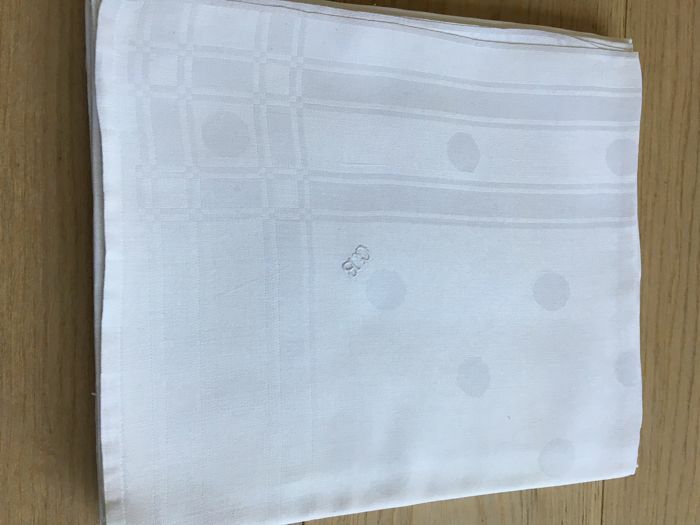 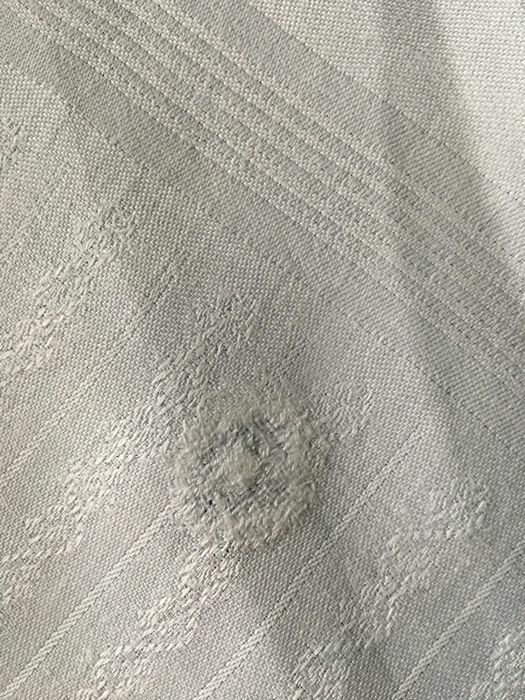 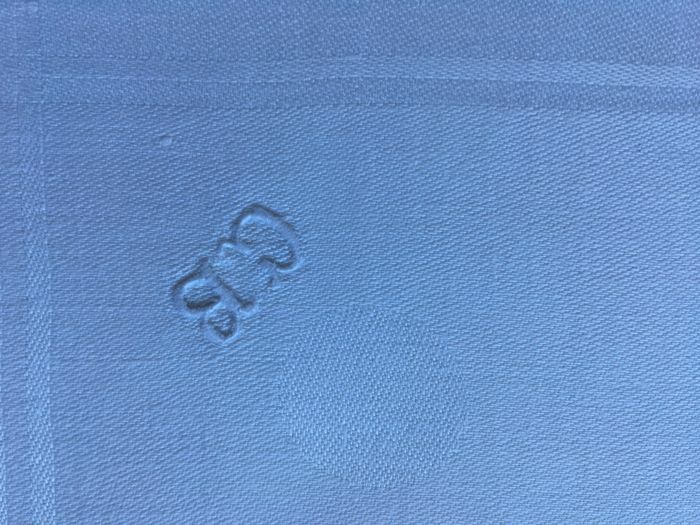 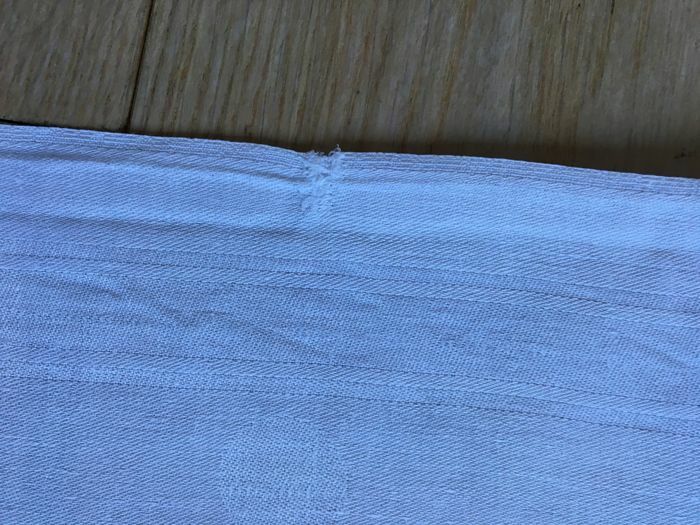 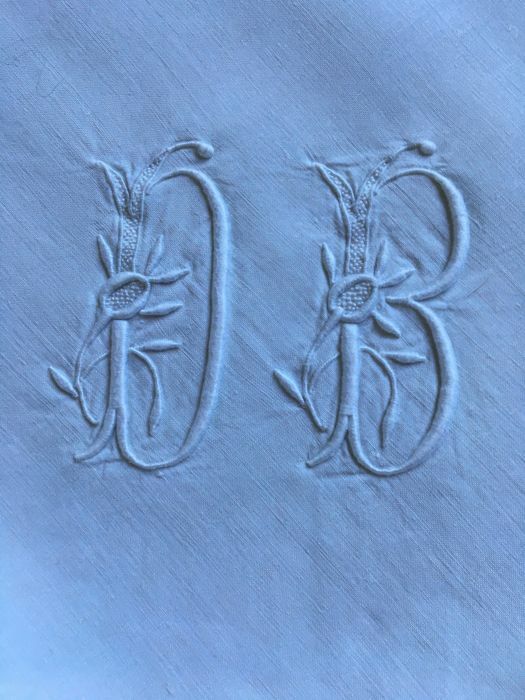 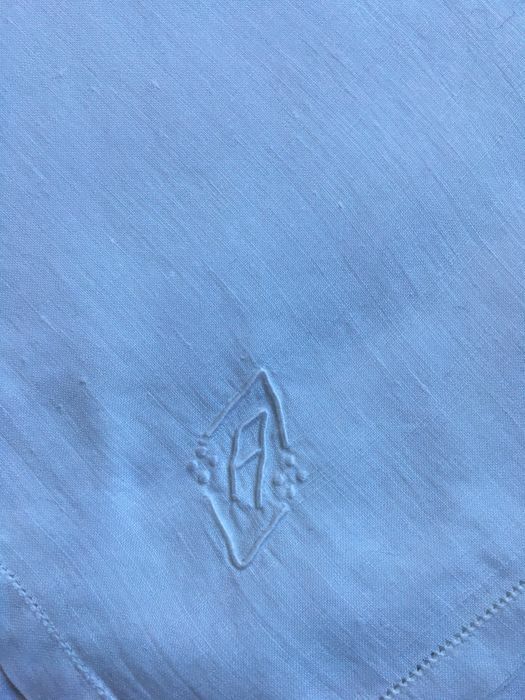 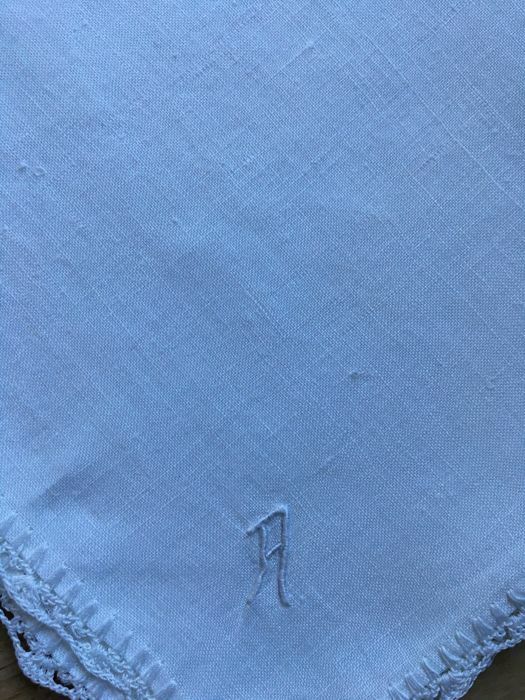 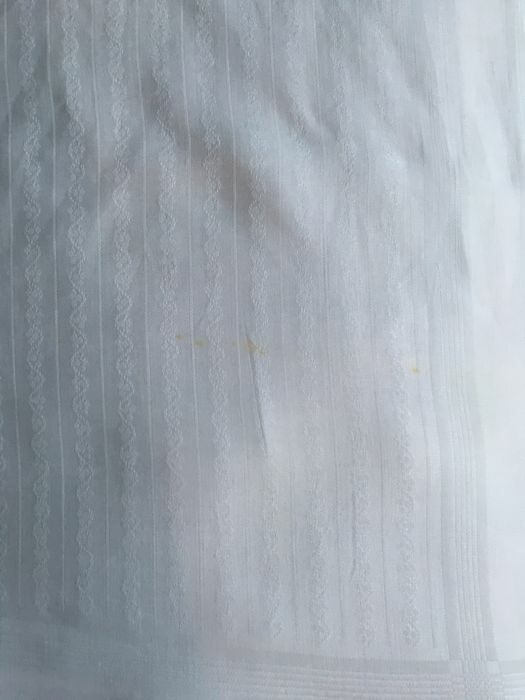 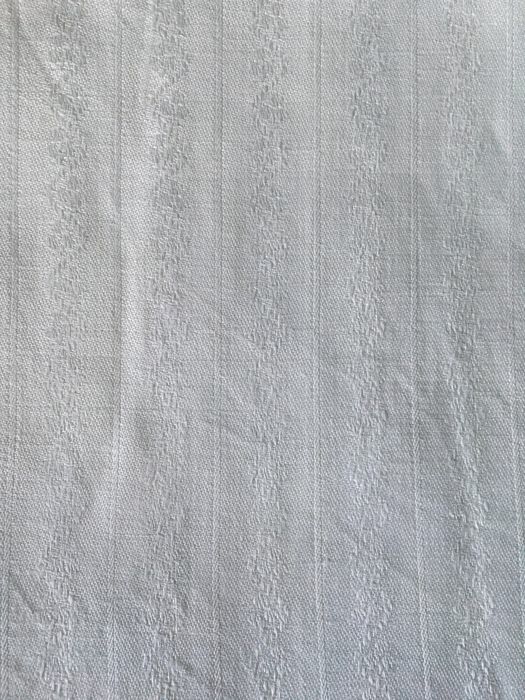 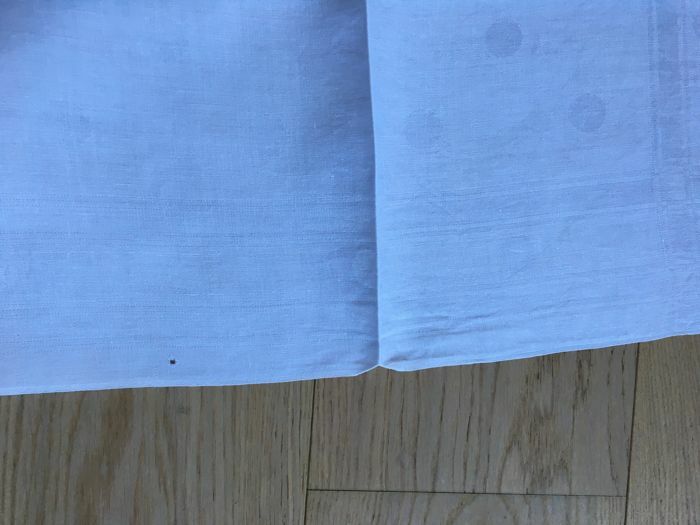 4 rectangular white table serviettes - Damask - Very nice quality: 100% cotton thread - In very good condition except for a slight darn and a tiny hole on one serviette: see pictures - Monogrammed CB - Rare - France - Size: 74 cm x 86 cm. 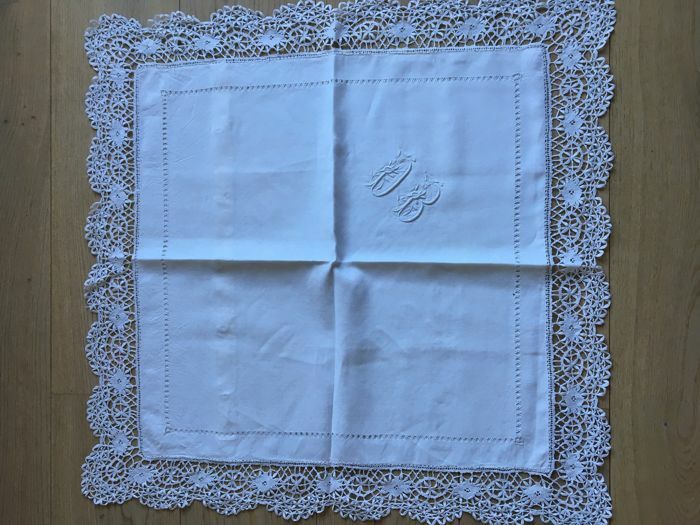 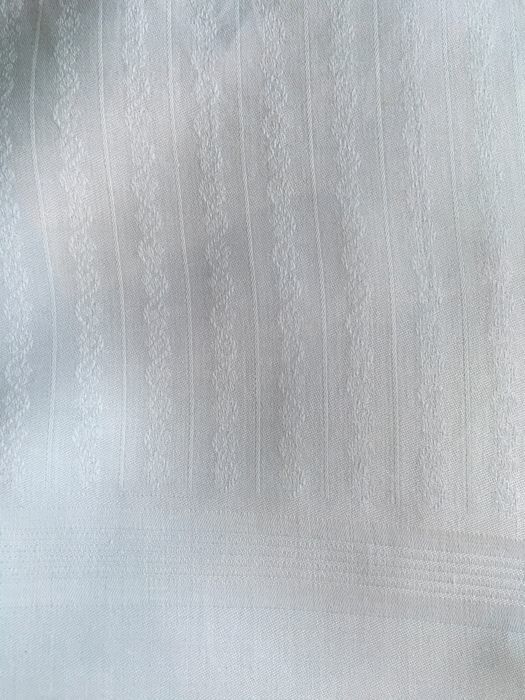 1 white oval doily - Very nice quality: 100% organza - In very good condition except for traces of wear and tear: see pictures - Rare - France - Size: 62 cm x 32 cm. 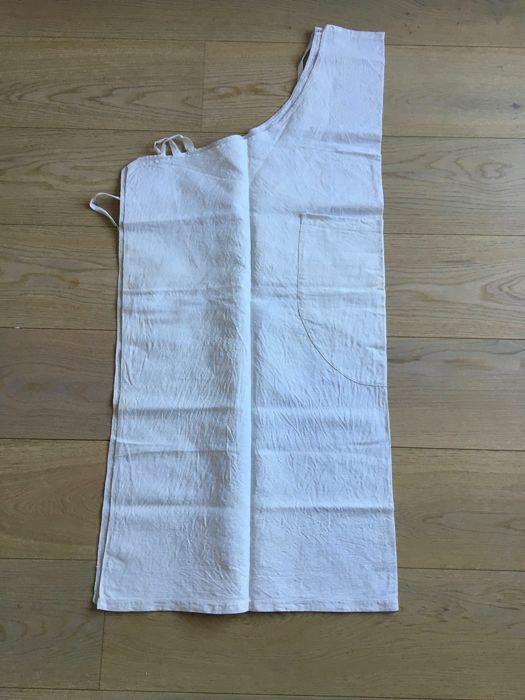 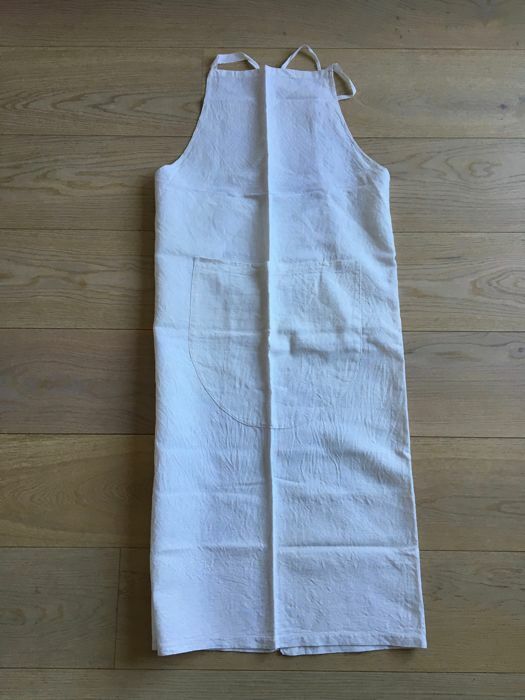 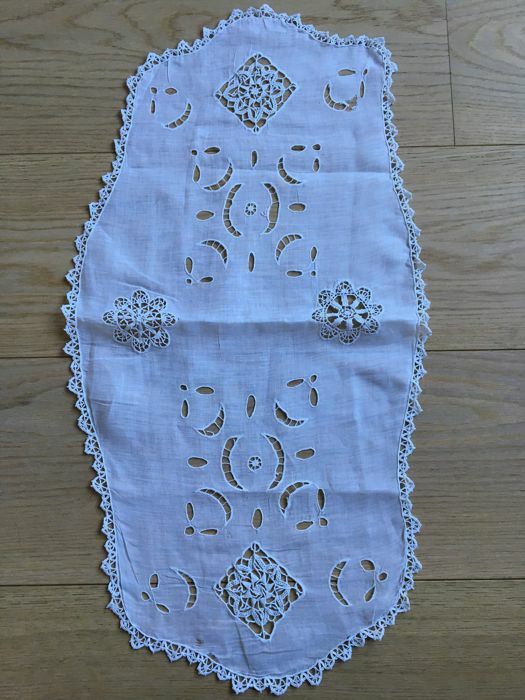 1 white apron - Very nice quality: 100% linen - In very good condition - France - Size: 108 cm x 94 cm. 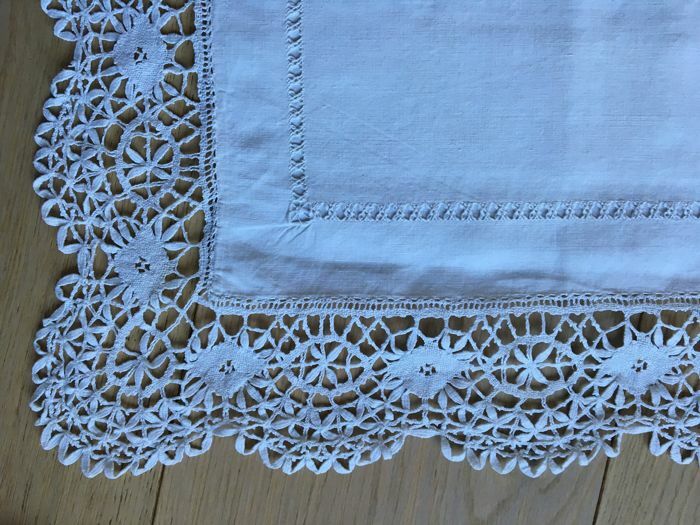 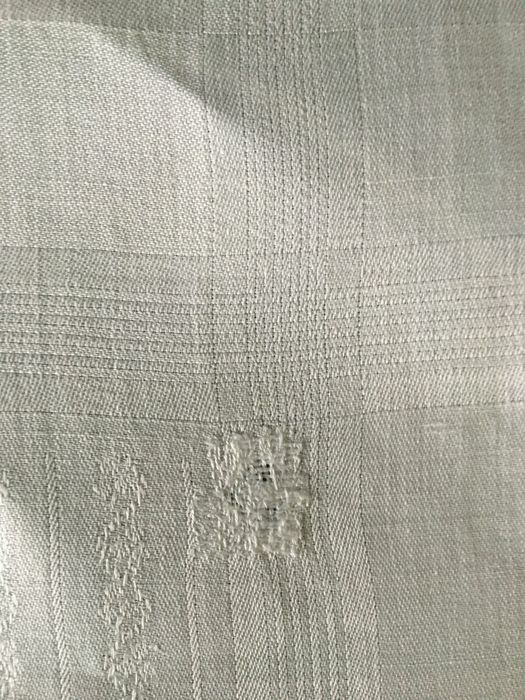 Superb white square pillowcase with openwork, lined with lace from Le Puy (France) - Very nice quality: 100% cotton thread - In very good condition - Monogrammed DB - Rare - France - Size: 56 cm x 56 cm. 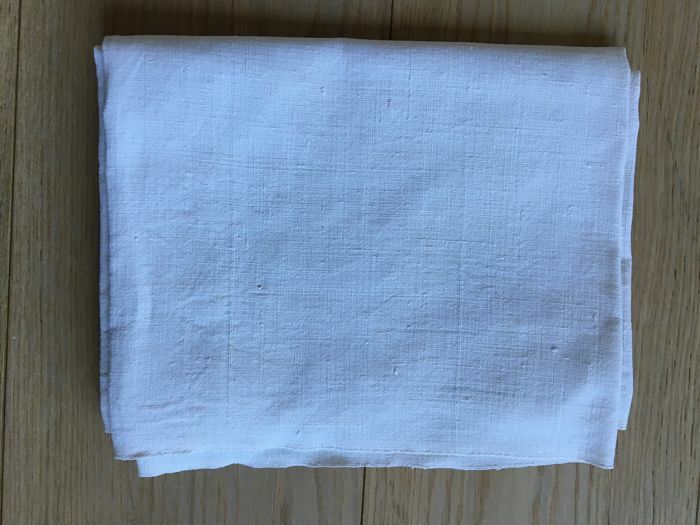 1 old white table serviette, with a rectangular shape - Very nice quality: 100% linen - In very good condition - France - Size: 82 cm x 80 cm. 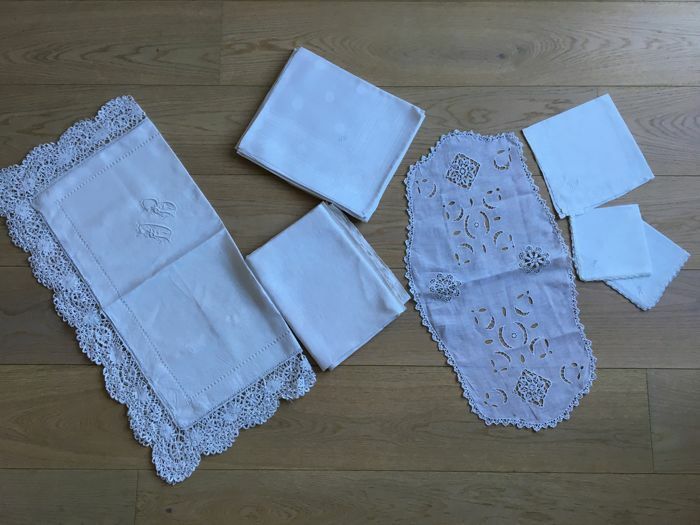 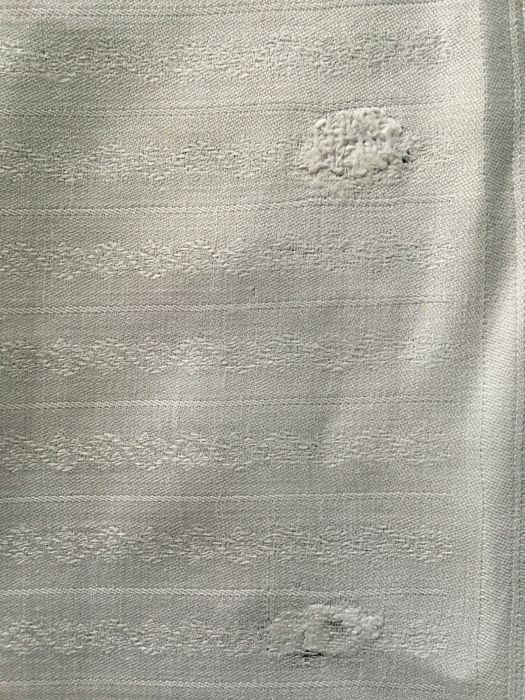 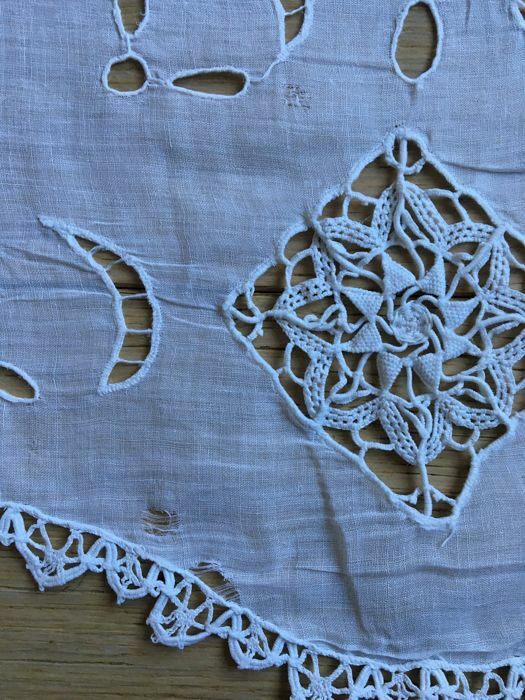 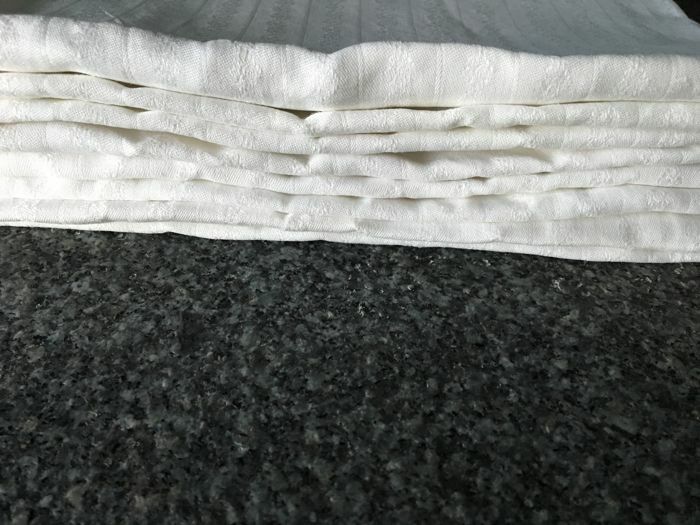 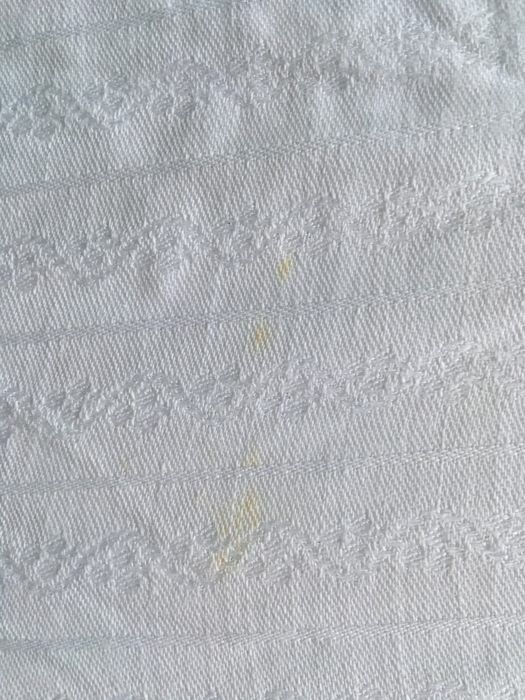 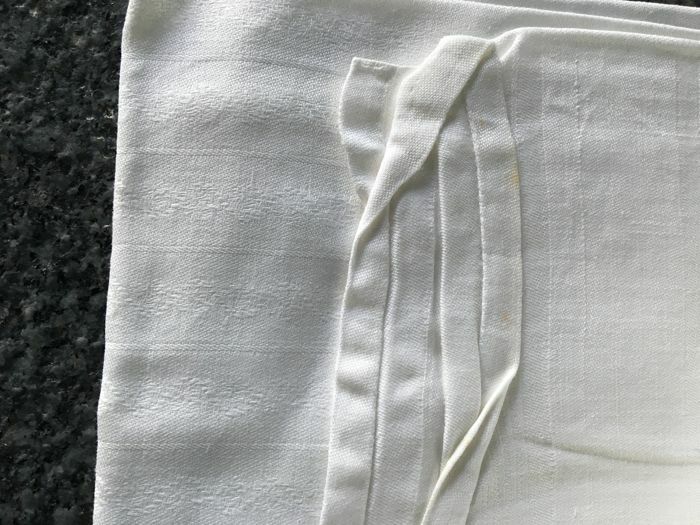 8 old white serviettes, of rectangular shape - 100% cotton thread - Monogrammed BC - Damask - In good condition (small darns and small spots of rust) - Size: 88 cm x 73 cm. 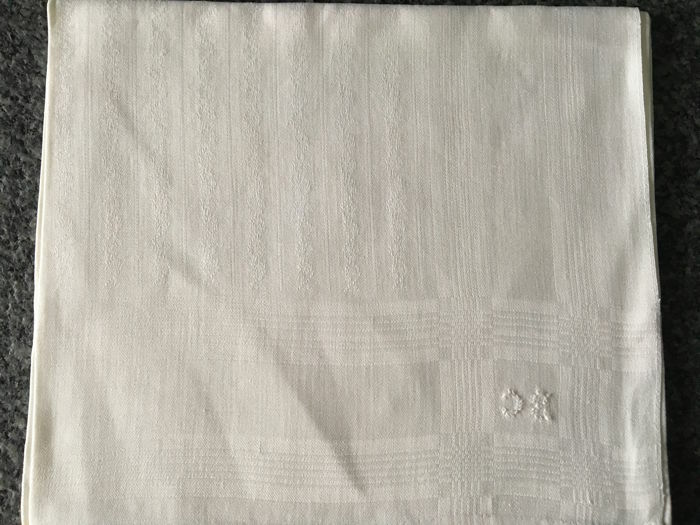 All the elements are perfectly white.